Outfit your entire team with lime colored hi-viz safety vests from OnlineSafetyDepot.com that meet the ANSI 107 Class 2 standard. This product is size 3XL, but we have all sizes ranging from medium through 5XL. 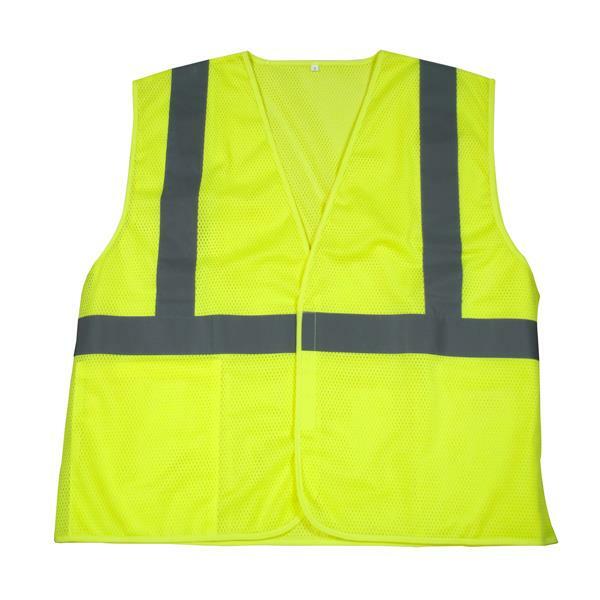 SKU: LS-SV2C1L3XLTF Category: High Visibility Reflective Clothing Tags: ansi 107 class 2, ansi safety vest, lime safety vest Brands: TruForce. This lime colored safety vest from TruForce meets the standards of ANSI 107 Class 2, which sets high-visibility safety requirements for clothing worn by workers in situations where vehicles are traveling up to 25 miles per hour, such as railway workers or school crossing guards. The ANSI 107 Class 2 standards require that reflective bands must have reflective bands that are greater than 1-inch wide. 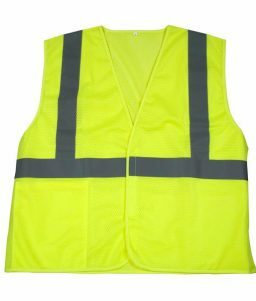 Hi-visibility vests meeting this standard must have at least 755 square inches of conspicuously colored fabric. This safety vest from TruForce meets the ANSI standard by using 100% polyester mesh with 2″ glass bead reflective stripes. This vest also has bindings and hook-and-loop (“velcro”) closures. This mesh safety vest is size 3XL. 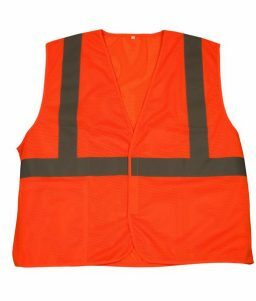 We stock this safety vest in sizes ranging from medium through 5XL, so you can outfit your entire team with appropriate hi-visibility clothing from OnlineSafetyDepot.com. 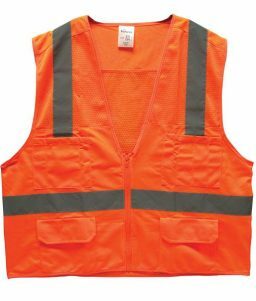 If you need to purchase orange safety vests that meet the ANSI 107 Class 2 standard, be sure to check our selection of those as well.